wow.. nice entry.. my version is little diff. adding garlic, onion is my method along with potato. perfect ntry..
Wow will try to combine potato with spinach, looks awesome Vidhya..
That's a wonderful dal.. looks too good.. thanks for sharing!! 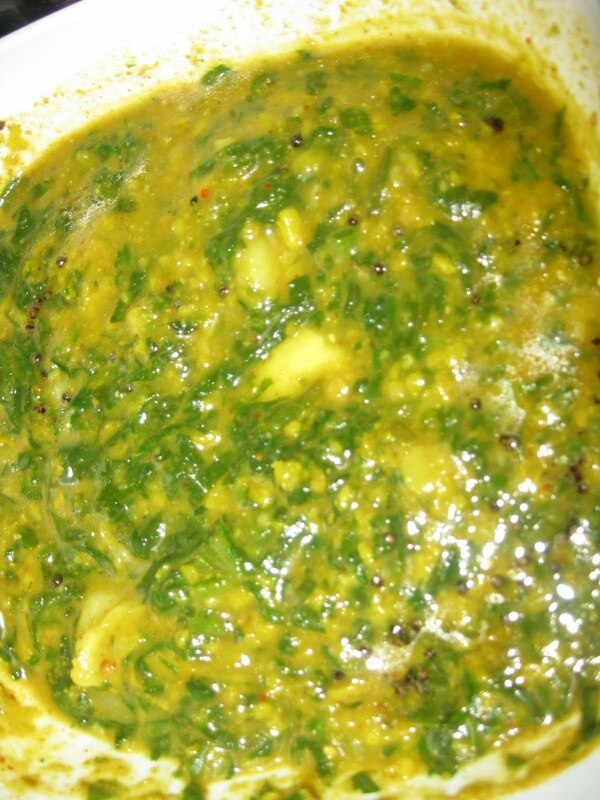 hey spinach potato dal looks so delicious and refreshing green..
Nice idea to add potato to dhal,looks good Vidhya! Simply Superb...Healthy n nutritious recipe with nice presentation. First time here...You have a beautiful space...I'm following you dear..Drop in at my blog sometime. Nice blog...First time to this space...Following you...Thanks..